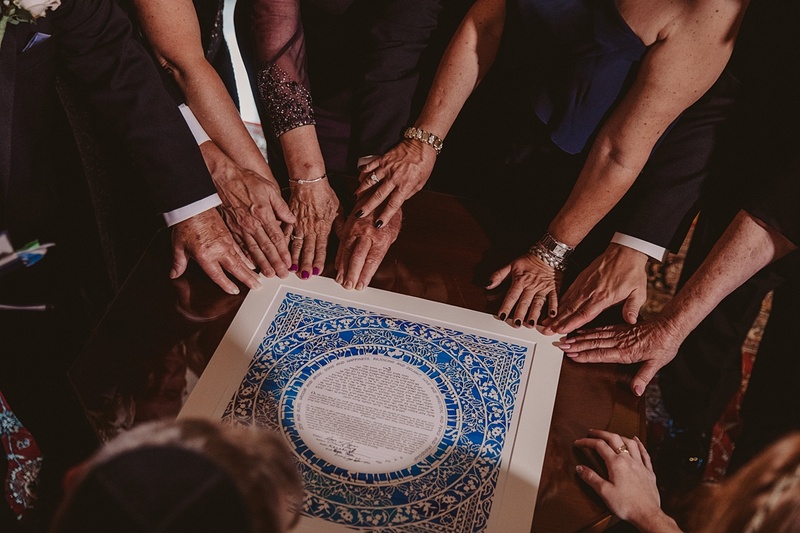 Aside from photography and videography, your ketubah is one of the only parts of your wedding that you get to take home with you at the end of the day. And just like your favorite wedding photos, your ketubah is a beautiful way to display your love and commitment to each other in your home forever after. Luckily, these days there are so many beautiful ketubot to choose from, whatever your personal style. 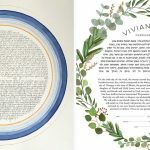 One of my absolute favorite sources is ketubah.com, a really wonderful site featuring an astounding variety of both designs and texts (including the choice to write your own!). 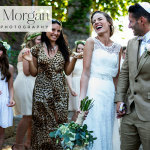 They truly have something for every couple, whether Orthodox, interfaith, LGBTQ, or for just about any other permutation of Jewish (or Jew-ish) ceremony you could imagine. 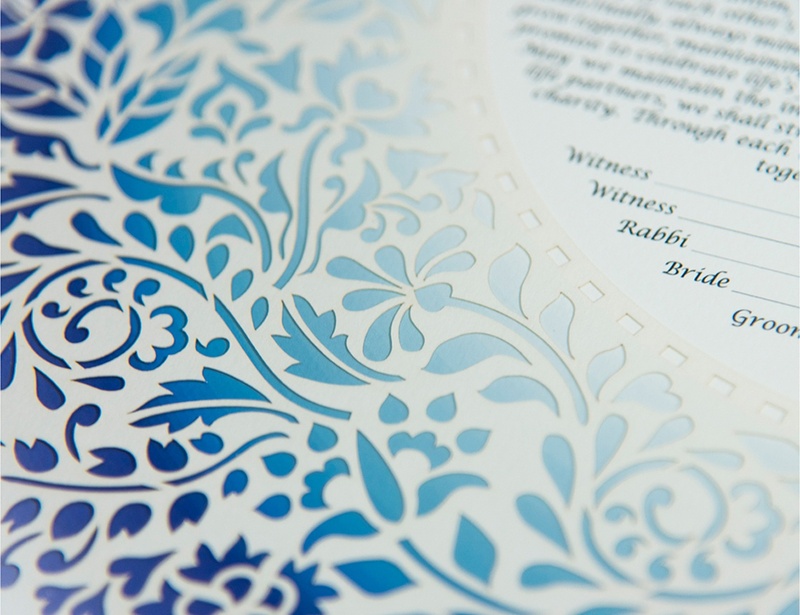 Ketubah.com is a longtime favorite with Smashing The Glass readers, and so many of our Real Weddings feature ketubot from the site. Couples rave about their top-notch customer service and spectacular selection of exclusive curated designs. They’re also offering a 10% discount to members of our VIB [Very Important Bride] Club, where my team and I offer round-the-clock support and advice, in addition to discounts and free gifts from handpicked vendors. Click here to join. Today, I’m SO excited to be sharing our top ketubah styles from this fab site for 2018/2019. We’ve got jaw-dropping papercuts, dreamy watercolors, metallics galore, supercool 3D designs — and that’s just the 10 we could fit into this post. Honestly, I’m just drooling over these beauties and wishing I were getting married again (to Mr. STG, of course!) so I could have one for my very own. Keep reading for some serious eye candy! This Luxe Collection ketubah truly lives up to its name: it’s hand-adorned with 23K gold leaf and Swarovski crystals. Ahava, “love” in Hebrew, is spelled in the four corners. Papercuts of wheat, the symbol of bread and Torah, and pomegranates, representing spiritual and physical richness, round out this stunning design. Between the fine cutting work and the sparkle, this one is an absolute showstopper. 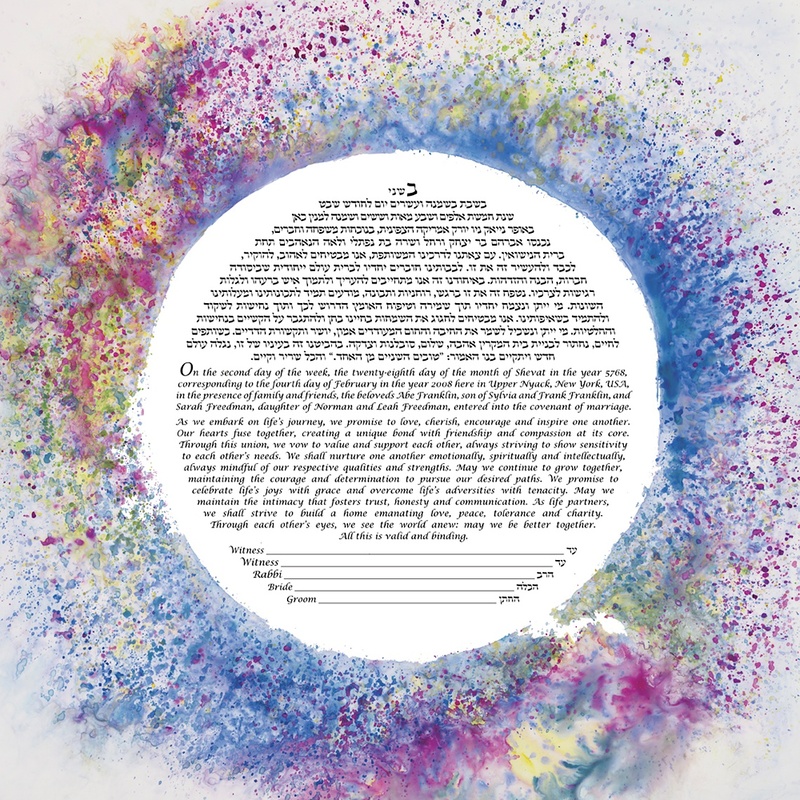 A burst of watercolor meets the cosmos, making this gorgeous ketubah just the thing for a marriage literally made in heaven. I love the vibrancy of the colors in this one; it’s playful and grounded all at once – just like a good marriage should be! 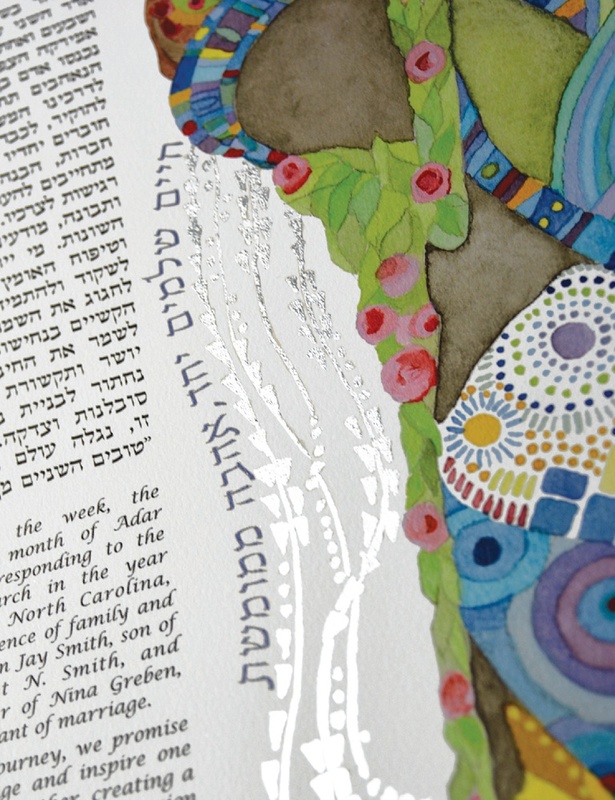 This lovely Ketubah from super-popular artist Michelle Rummel incorporates text from E.E. 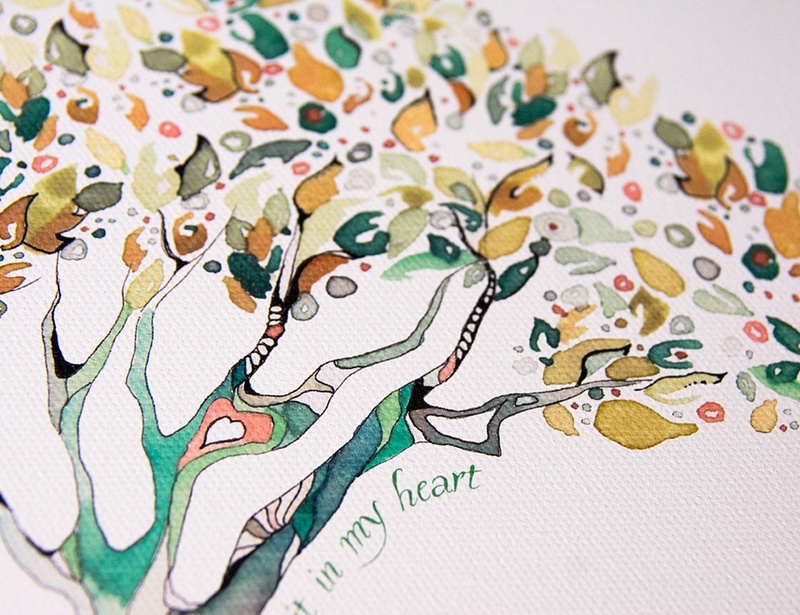 Cummings’s beautiful poem “I carry your heart (I carry it in my heart)” alongside a gorgeous watercolor tree. This one is perfect for you literature lovers out there! 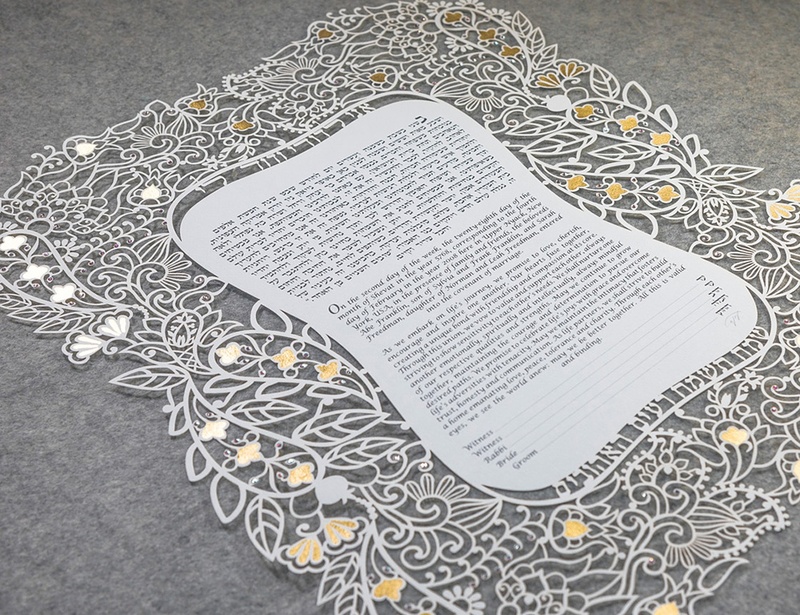 This beautiful papercut from Enya Keshet was featured in the finale episode of the hit web series Soon By You and is chosen by so many Ketubah.com couples. This one has a wonderful modern look to it, and the ombre blue underlayer really makes the paper cut design pop. 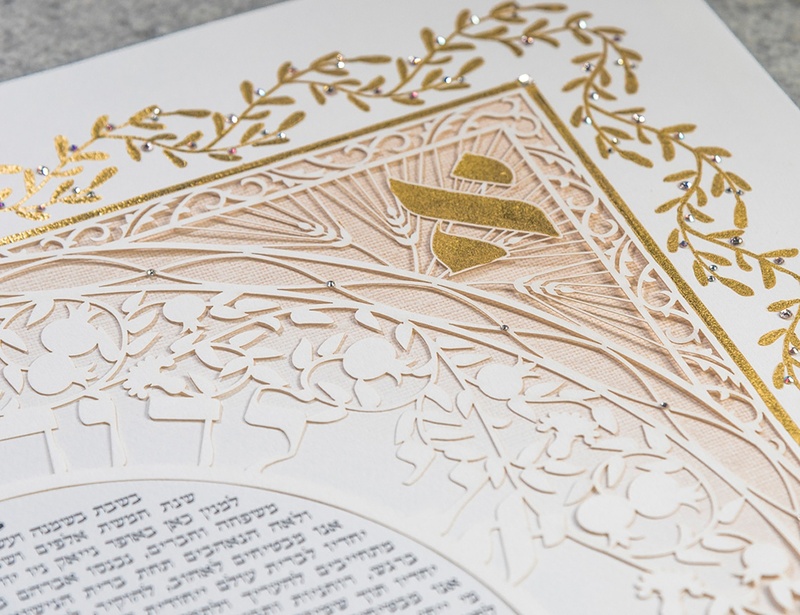 Ruth Mergi’s ketubahs are some of the most sought-after in the industry, and Ketubah.com is proud to offer some exclusive papercuts by this fantastic artist. 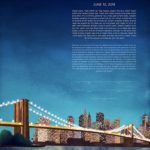 If you’re looking for a contemporary, clean, and modern yet romantic ketubah design – this one ticks all the boxes and then some. 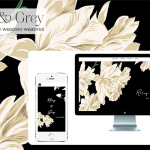 There’s something so elegant about the white and gray color scheme, and if you don’t go in for the fruits and florals that feature on so many designs, the abstract curves and orbs here are just the thing. 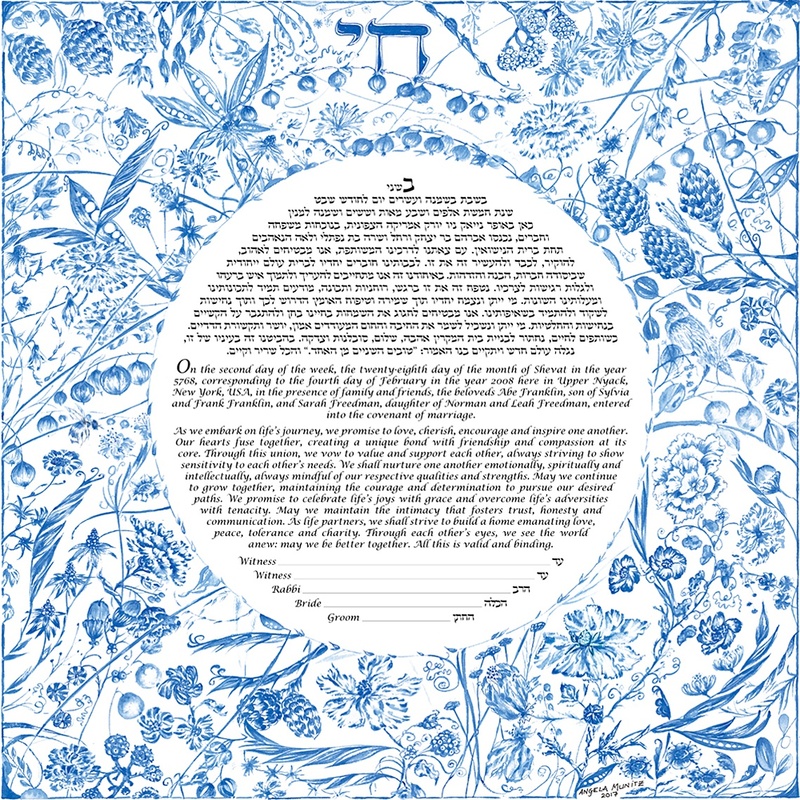 Blue and white, the most spiritual of colors, adorn this lovely ketubah, decorated with the flowers and fruits of the Tree of Life. Chai, Hebrew for “life,” sits atop this sweet design – there’s something delightfully old-fashioned about it; it almost reminds me of a lovely piece of Blue Willow china! This ketubah is so stunning – and so popular – we were tempted to include it in two colors on this list! In the interest of diversity we decided to choose one, but this lovely Blue Green version won by just a hair. We’re also wild for the other color scheme, Sand Weave, featuring a lovely neutral background. Either way, this is an astonishingly intricate papercut design that hits the perfect balance between classic and modern. 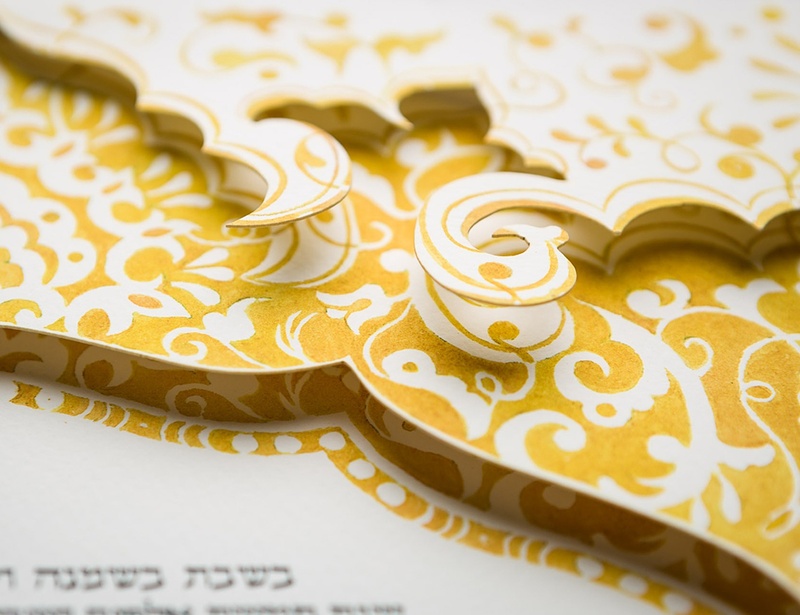 Isn’t this 3D Ketubah just wonderful?! With four beautiful layers, all featuring a classic floral design in romantic gold tones, this is a really special design that will absolutely pop on your wall. I am totally in love with this one! 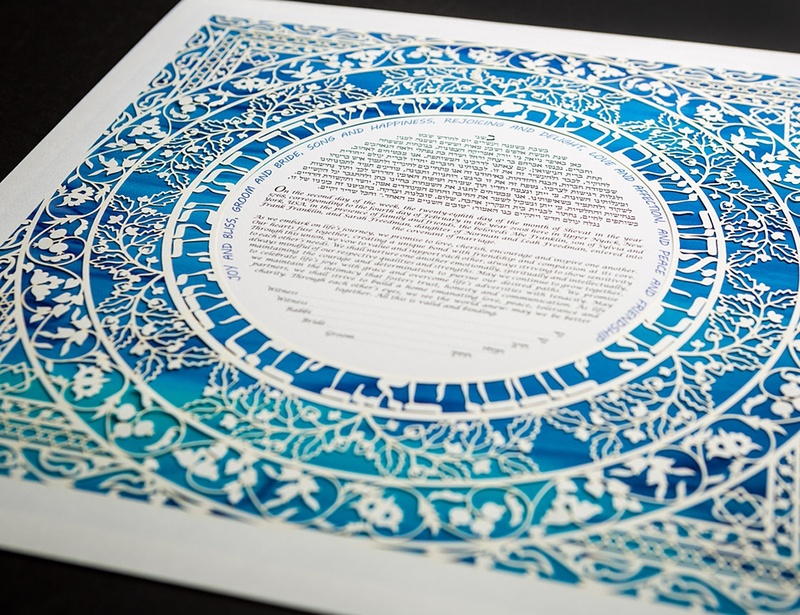 This whimsical papercut ketubah was inspired by the henna designs traditionally painted on the bride’s hands and feet in a special pre-wedding ceremony in some Middle Eastern Jewish communities. With an ultra-luxe touch of gold leaf and Swarovski crystals, this ketubah is an absolute knockout. Based on the famous Gustav Klimt painting by the same name, “Fulfillment” features a lovely watercolor of a couple in a loving embrace. This design is available in a variety of options (papercut, gold leaf, and print) but we love the way this silver leaf accent complements the art. This ketubah is delightfully soft and romantic, with a little bit of edge from the bold colors and geometric designs adorning the couple’s clothing – so uniquely wonderful! 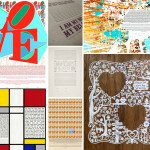 Ketubah.com will help you find the perfect ketubah. To take advantage of their one-on-one customer service experience, call them toll free 1-800-722-7182 or email info@ketubah.com. 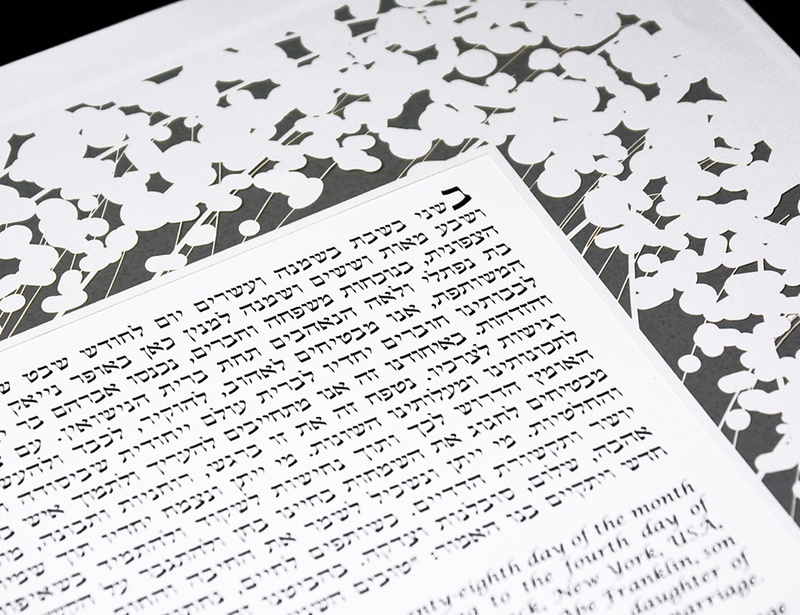 See more of their incredible Ketubahs exclusively, sold through Ketubah.com – whatever your style, they have the one for you! Which one’s your favorite? Which one will you be pinning, or even better, buying? Let me know in the comments below! Location: Based in Toronto, Canada. Shipping to Canada, US, Israel and UK. 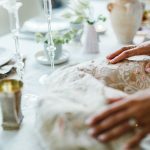 Ketubah.com is a Smashing The Glass handpicked sponsor and this is a sponsored post. We only ever work with sponsors that we absolutely ADORE and would use ourselves. You can find out more about sponsored posts here. I am humbled and thrilled to be chosen for such an honor. I wish every married couple all the joy and love which I put into every Ketubah design I create. It is wonderful to know that I can be part of their celebration.